After Kathryn Bigelow became the first woman ever to win the Oscar for Best Director with The Hurt Locker in 2009, the ex-wife (one of four) of fellow director James Cameron established herself as a director to watch by mainstream movie-going audiences. She also established that in this present day and age, she is a far better and more artistic filmmaker than her former husband, who has apparently resigned to showing off with excessive special FX and lazy blockbuster stories. Not only that, Bigelow showed she could dance with the big boys when it comes to directing intense, military-style action epics and war films. ZD30 features a fantastic performance by Jessica Chastain. Note the obvious symbolism on the American flag. That being said, Bigelow’s latest project was doomed to miss Academy fame, due to its controversial depictions of torture used in the decade of US counter-terrorism following September 11th. I’ll just get this out of the way and say that I don’t think ZD30 glorifies or in any way portrays torture in a glamorous light; I don’t understand all the Congressmen and press-hoopla about what an offensive, amoral piece of work this is. In either case, Bigelow, like all filmmakers, bears no responsibility to adhere to historical accuracy, and she reserves the artistic right, like all artists, to take liberties with material as she wishes. The fact of the matter is that nothing comes across as biased, incredulous, or contrived in the movie. Bigelow has shown time and time again in her films that she is not a director to make decisions for her audience, nor try to force her personal beliefs on moviegoers, unlike say, Cameron. What is important is the actual quality of the film, which is outstanding. ZD30 is a well paced, exciting war drama and crime procedural-hybrid; it summarizes the decade following September 11th, starting with the desperate, terrified phone calls of those trapped in the World Trade Center following the Al Qaeda plane strikes. The opening sequence is an audio-only experience, with us listening to the panicked cries for help against a screen of blackness. This is as close to emotional loading as we get in the film, as it serves to put us in the perspectives of the Americans who are thenceforth on an agenda to punish the individuals who committed the act. As soon as the baptism of water torture, humiliation, and physical confinement begin following the 9/11 phone calls, however, it is a repulsive and uncomfortable ordeal that does not shrink from the awful trials the prisoners of war suffer in response. The interrogation scenes and subsequent aftermath are shot plainly and therefore gruesomely, making you feel like you are planted inside the dark rooms where men are tied and gagged in a veritable hell. As the film transitions from these torture sessions to various espionage cells, CIA black sites, and other notable counter-terrorism centers, the growing cast of characters and detective work become more personal and even more captivating. Bigelow’s adherence to cineme verite aesthetics maintain a sense of immersion and intense, documentary-style realism. Jessica Chastain is a perfect fish-out-of-water protagonist. She arrives new to the black ops scene, fresh from training and ready-made for the meat-grinder, before she is unceremoniously baptized in US-Pakistani torture cells. As the story progresses, we learn that she has a knack for meticulous detective work, growing adept at asking tough questions and breaking down cryptic answers. She starts to see through the ubiquitous deceit of inmates, coworkers, and their supposed Pakistani allies, using her well informed background of the Middle East and Islamic extremists to her advantage. Her maturation as a detective is both natural and well illustrated, and before long her interest with “the most wanted man in the world” evolves into obsession. As the hunt for bin Laden intensifies and Chastain tunnels ever deeper down the rabbit hole, the stakes are raised. Shocking suicide-bombings and ambush shootouts keep the story on its toes and the pace intense. What’s more, some of the casualties are those close to Chastain’s protagonist, thereby adding personal vendettas to what was already an overwhelming career ambition. 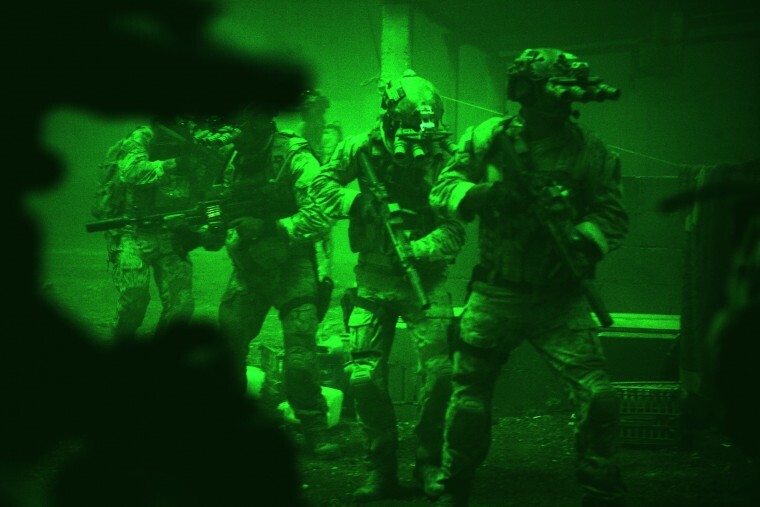 The SEAL raid of the bin Laden hideout at the end of the film, partially shot in neon-green night-vision, is about as nail-biting and intense as film sequences get. On and on this adventure goes, a diverse mix of disturbing interrogations, international espionage, emotional character growth, and vengeful fixation until the film reaches its climax in the Navy SEAL assault on bin Laden’s Pakistani compound. The infiltration sequence is captivating. The camerawork gets up close and personal over the servicemen’s shoulders, feeling as if you are a fly perched over their rifles. The slick green hues of their night-vision goggles and the lack of any score make the action feel all the more immersive. When bullets are fired, they mean something, and every shot is startling. This is a worthy, powerful historical drama that serves as an emotional summation of the ten years that began with September 11th, 2001, and ended with the assassination of Osama bin Laden on May 2nd, 2011. It supersedes what countless just-the-facts documentaries fail to do in capturing the intense emotions and moral grayness that symbolized an entire decade. Kathryn Bigelow has gathered much media attention for her firm defense and devotion to this film, despite its controversy. 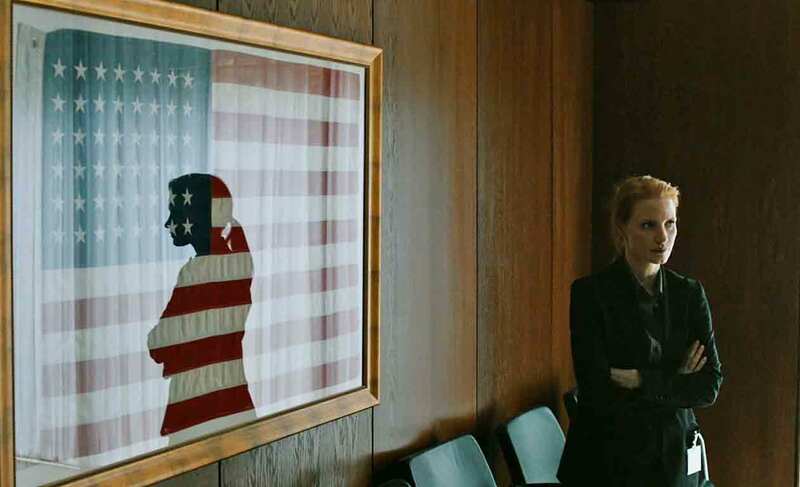 She is proud of Zero Dark Thirty and stands by it, and she should, because she made an excellent film. Bravo, Bigelow, bravo. SUMMARY & RECOMMENDATION: Mark Boal, of Hurt Locker fame, writes a great mystery narrative and Bigelow films it with intensity and grit. The emotions feel real and the violence has weight to it. Every action has a meaningful consequence in this story. Jessica Chastain does a great job as the lead, and her arc is emotional. The SEAL raid on the bin Laden compound is an edge-of-your-seat experience that grabs you by the throat. It’s a great climax to a great story. 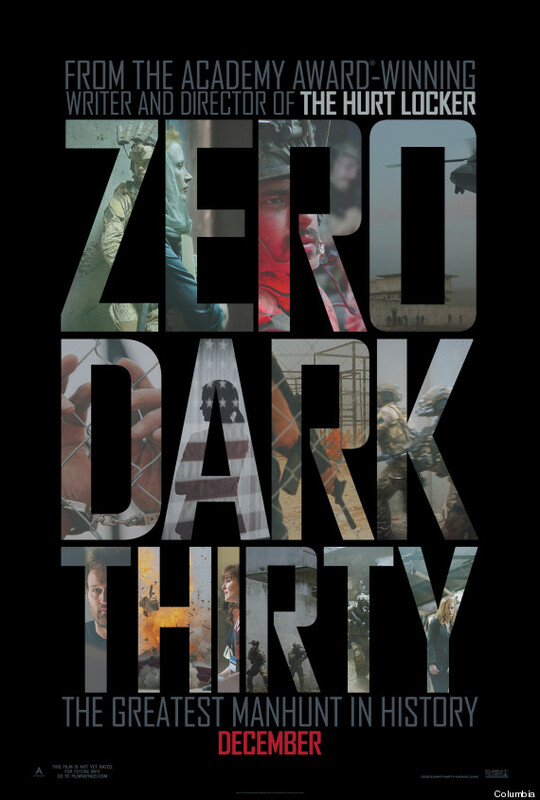 —> Zero Dark Thirty receives MY HIGHEST RECOMMENDATION.
? Watching Coach Taylor (Kyle Chandler) talk about torturing people shattered all that was good and innocent in me. Is that the message you want to be sending to the Dillon community, Eric?